Mr. Cawley was awarded the prestigious Eugene A. Stead Award of Achievement by the American Academy of Physician Assistants (AAPA) in 2011. This award of excellence focused on his pivotal role in moving the PA field forward through his work as a certified practitioner, educator, scholar, and leader. He is founder and director of GW’s joint Physician Assistant/M.P.H. program, which was the first of its type in the U.S. His research interests focus on the profession of physician assistant and on primary care and health work force policy. In addition to co-authoring four books on the PA field, he has published extensively in the areas of preventive medicine, non-physician health providers, and health workforce policy. A certified physician assistant for 32 years, he practiced as a PA in primary care at the Johns Hopkins Hospital, earned his MPH in infectious disease epidemiology from The Johns Hopkins School of Public Health, and has held faculty appointments in the PA educational programs at Johns Hopkins, SUNY at Stony Brook, and Yale University School of Medicine. He was a visiting professor at South College and spoke to our PA students regarding the PA profession, PA history and the professional role of Physician Assistant’s nation wide. After many years as a Navy Corpsman he made the decision in 1999 to take his medical skills to a higher level and become a Physician Assistant. He attended the School of Physician Assistant Studies at the Philadelphia College of Osteopathic Medicine and Graduated in 2001 with a Masters of Health Science degree. Upon graduation he was commissioned as a Naval Medical Service Corps Officer. His first duty station was in Newport RI working in a family practice clinic. During his time as a primary care provider in Newport RI, he developed an interest in Orthopedics. In 2003 he was accepted to attend the Navy’s Physician Assistant Orthopedic fellowship program. After graduating from this unique fellowship program he was assigned as a Navy Physician Assistant practices as an Orthopedic Physician Assistant. He has made numerous deployments in support of Operation Enduring Freedom and Joint Task Force Horn of Africa. He has received numerous combat award s for valor and currently is the President Elect of the Naval Association of Physician Assistants. LCDR Conza presented a workshop for our PA students on orthopedic emergencies and focusing on assessment and management in primary care settings. Dr. Danielsen has been a certified physician assistant for more than 30 years. He graduated from the University of Utah MEDEX Physician Assistant Program in 1974, before going on to earn a master’s degree in physician assistant studies from the University of Nebraska in 1997 and to earn a PhD in 2003. Dr. Danielsen has served the PA profession as a clinician, as an educator, and as a leader at state and national levels for over twenty five years. Since 1997, he has served NCCPA’s board of directors on numerous committees and task forces and in a variety of leadership roles. Currently he is the Executive Vice President of the NCCPA Foundation. Prior to this position he was Professor and Dean of the Arizona School of Health Sciences at A.T. Still University in Mesa, Arizona. Dr. Danielsen has a wealth of clinical and academic experience. Lisa D’Andrea-Lenell is the first physician assistant to have her own radio show. Her XM Radio Show, “Partners in Practice,” airs weekly Monday through Friday on ReachMD XM 160. Her varied career as a physician assistant has taken her from providing HIV education in Ghana to lobbying on Capitol Hill for PA issues, from delivering medical care in the jungle of Honduras to hosting her own radio show. She said her achievements were only possible because of her willingness to take advantage of opportunities presented to her, even if they seemed difficult or impossible. She is currently employed as a PA and Clinical Director for an internal medicine practice in Libertyville Illinois. She is a graduate of the Physician Assistant Program at Midwestern University in Downers Grove, IL. She has continued her relationship with Midwestern University working as an Adjunct Clinical Professor and a preceptor for PA students. Lisa received her Master’s Degree in Physician Assistant Studies from the University of Nebraska. She has published in the prestigious peer-reviewed medical journal, Dermatologic Surgery. Ms. D’Andrea-Lenell was our guest speaker at our 2011 white coat and PA student graduation. 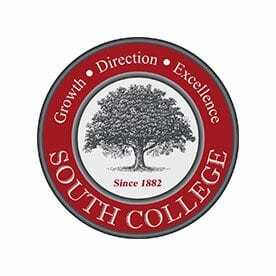 Her inspiring speech is available on South College presidents website. Dr. Errichetti earned his Ph.D. in Psychoeducation from Temple University and completed the Comprehensive Course in Medical Simulation at the Harvard University Center For Simulation. He is Chief of Virtual Medicine and Professor in the Department of Psychiatry and Behavioral Medicine at New York College of Osteopathic Medicine (NYCOM). He established and currently is the Director of the Institute for Clinical Competence at NYCOM and St. Barnabas Hospital, Bronx, New York. In this capacity he has designed and implemented patient simulation learning and assessment modules for medical students, residents, physicians and nurses through multi-modal patient simulations. 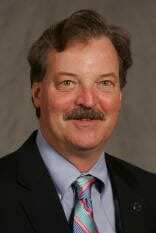 He is also a consultant for medical schools and health sciences programs around the United States on simulation program development, and on implementing protocols to prepare Standardized Patients and clinical faculty to assess communication and provide debriefing. He has also developed doctor-patient and health team communication assessment rubrics. He has designed a Master of Science in Health Care Simulation program at NYCOM, accepting students for September 2012. Dr. Errichetta spoke to the South College faculty about patient simulation and using standardized patients in the didactic phase of PA education. Dr. Harbert attended his workshop on high fidelity simulation planning at the Association of Medical Educators in Europe meeting in the Netherlands. Dr. Everly is the co-founder of, and Representative to the United Nations for, the International Critical Incident Stress Foundation, a non-profit United Nations-affiliated public health and safety organization. He is a member of the Johns Hopkins Center for Public Health Preparedness and serves on the faculties of The Johns Hopkins University School of Medicine, The Johns Hopkins University Bloomberg School of Public Health, and Loyola College in Maryland. 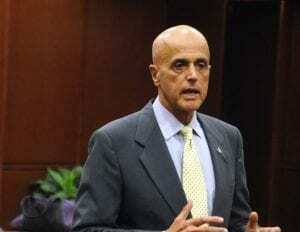 In addition he serves on the adjunct faculties of the Federal Emergency Management Agency, and the FBI National Academy. He is the author, co-author, or editor of 14 textbooks and over 100 professional papers. Among his texts are Mental Health Aspects of Disasters: Public Health Preparedness and Response (Johns Hopkins, 2005), Pastoral Crisis Intervention (2007), and Psychological Counterterrorism and World War IV (Chevron, 2005. Dr. Everly has won numerous awards receiving the Certificate of Honor from the Baltimore Police Department, the Honor Award from the American Red Cross, the Leadership Award from the American Red Cross, and the Maryland Psychological Association’s Award for Scientific Contributions to Psychology. Dr. Everly presented a workshop for PA students at South College on “Assessment and Management of PTSD in Primary Care. Ms. Glicken is the President of the NCCPA Health Foundation. Ms. Glicken has 30 years of experience in medical education; she has authored over 50 publications and served as principle investigator on grants totaling over $7 million dollars. Ms. Glicken has been a leader in several state, national and international initiatives, including President of the Physician Assistant Education Association (PAEA) and Project Leader of the PAEA HRSA funded contract on Faculty Development Education and Practice. She was Chair of the PAEA Faculty Development Institute and the Workgroup on Data and Research and recently invited to serve on the American Academy of Physician Assistants research steering committee. She is currently Project Director of an American International Health Alliance Contract to build health workforce capacity in South Africa through creation, deployment and evaluation of Clinical Associates, a new mid-level medical profession. Ms. Glicken is also Project Leader of a National Interprofessional Initiative on Oral Health (NIIOH) multi-organizational contract to engage all physician assistant professional organizations in promoting oral health in primary care. She serves as a senior advisor the AMC campus Integrated Longitudinal Interprofessional Curriculum for the Health Professions (REACH) initiative. She spoke to South College PA Students and Faculty on “Interprofessional Curriculum Development and Teaming”. She also was our external evaluator for our annual curriculum meeting. Her faculty workshop on “Oral Health” assisted our faculty to include oral health topics into our didactic curriculum. 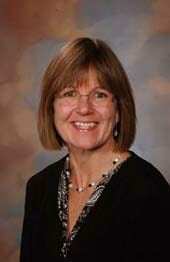 Ms. Goldgar is currently the associate program director of the University of Utah Physician Assistant (UPAP) program. She received her BA in Biology from Grinnell College, and graduated from the Child Associate Program at the University of Colorado Health Sciences Center where she received her MS in Child Health, in 1982. She has worked clinically in the areas of pediatrics, pediatric and adult gastroenterology, and genetic epidemiology. Her recent academic energy is dedicated to advancing the genetics curriculum as well as helping to formalize UPAP’s service learning program. Nationally, she currently serves as Director at Large for the Physician Assistant Education Association (PAEA) Board, and PAEA liaison to NCHPEG (National Coalition for Health Professional Education in Genetics). Ms.Goldgar was one of our visiting professors to speak to students and faculty on genetics. She honored our faculty member, Dr Ed Michaud, regarding his outstanding efforts in integrating genetics throughout our curriculum. Dr. Benn Greenspan is a Clinical Associate Professor and the Director of the Master of Healthcare Administration Program at the University of Illinois at Chicago’s School of Public Health. Prior to joining the faculty at UIC, Dr. Greenspan served as President and CEO of the Sinai Health System for over twenty eight years, overseeing a fully integrated health system with over 3,400 employees and featuring a 469-bed medical school-affiliated teaching and tertiary care hospital, a 120-bed rehabilitation hospital, more than 50 primary care sites including an affiliated network of federally qualified community health centers, and community-based mental health services. He had previously held the posts of Vice President for Planning and Ambulatory Services and Director of Ambulatory Care at Sinai Health System and is currently a board member of the Cook County Health and Hospital System. Dr. Greenspan has a Ph.D. in Public Health from the University of Illnois at Chicago School of Public Health and a Master of Public Health from the University of Pittsburgh Graduate School of Public Health. His numerous publications have addressed public health issues and health care disparities. Dr. Greenspan spoke to our PA students on organizational leadership for health care providers and the importance of health care providers focusing on and addressing disparities in health care access. When he retired from the U.S. Army in 1992, he did something that didn’t surprise anyone who knew him: he studied to be a Physician Assistant, receiving his degree in 1997. After graduation, he participated in several medical missions in combat zones in southern Sudan. A professional soldier, Burn Loeffke is also a man of peace and compassion, the sort of man who commands respect because he gives respect to everyone he meets and our students and faculty agree. He provided an inspiring discussion to both classes of our didactic and clinical PA students at South College about “Medical Challenges in the Third World and Why We Should Embrace Global Health Care. His incredible discussion can be found on our South College president’s website. Dr. Jacques graduated from the Touro College Physician Assistant Program and received his Masters of Education from the University of Buffalo and his Doctorate in Health Science from NOVA University. He has been a practicing physician assistant since 1977 and is currently the president of the South Carolina Academy of Physician Assistants and in the past was the president of the New York State Society of Physician Assistants. He is currently the Associate Chair for Clinical Research and Interim Division Director for the Division of Physician Assistant Studies at the Medical University of South Carolina. Dr. Jacques was our 2010 external evaluator for our annual curriculum review and visiting professor. He spoke to our faculty and students about the importance of clinical research for Physician Assistants. Recently in 2012 he joined South College School of PA Studies faculty members Drs. Michaud and Harbert in co-authoring the “Opportunities and Barriers for Veteran Corpsmen and Medics Applying to PA Educational Programs” which appears in the Journal of Physician Assistant Education. Dr. Massey completed his Physician Assistant training at Kettering College in 1987, and he holds an MS in Counseling Psychology from University of Dayton and a PhD in leadership from Andrew University. Dr. Massey is a 2008 graduate of the Management Development Program at Harvard University Graduate School of Education. He brings 20 years of Physician Assistant clinical and educational experience to Misericordia. Prior to assuming his position here as Program Director of the Master of Science in Physician Assistant Studies and Founding Chair of the Department of Physician Assistant Studies, he spent five years at the Massachusetts College of Pharmacy and Health Sciences (MCPHS) as Associate Dean and then Dean of the School of Physician Assistant Studies at MCPHS’ campuses in Manchester, NH, and Worcester, MA, and as Assistant Provost of Academic Affairs and Associate Professor of Physician Assistant Studies. Dr. Massey is co-author of Classroom to Clinic Study System: Personal Professor for Clinical Rotations and PANCE/PANRE Review, released in December 2010. Dr. Massey was our visiting professor and external evaluator for our annual curriculum meeting in 2011. Rear Admiral (RADM) Michael R. Milner, a Physician Assistant, is the Regional Health Administrator (RHA) for Region I (Boston). RADM Milner was appointed to the position of RHA on 15 August 2003 by the Assistant Secretary of Health (ASH) and is the principal Federal public health official and senior US Public Health Service Commissioned Corps officer for Region I. He is responsible for the six New England states of Connecticut, Maine, Massachusetts, New Hampshire, Rhode Island, and Vermont. 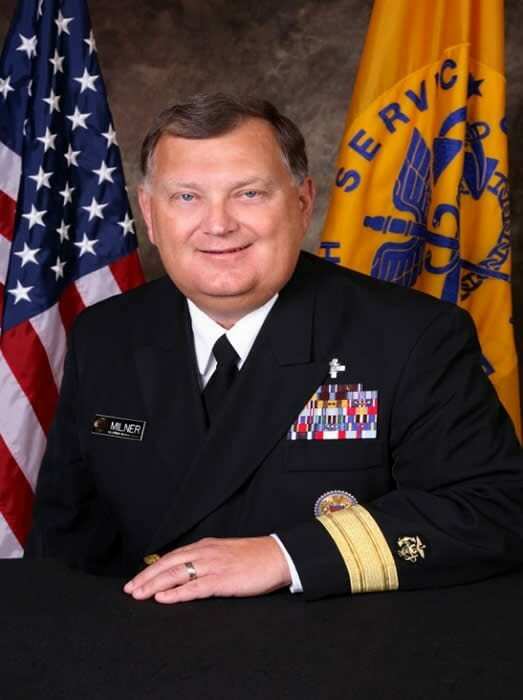 Admiral Milner’s regional portfolio includes: the Offices of Women’s Health, Minority Health, Family Planning (Title X), the HIV/AIDS Regional Resource Network and the Medical Reserve Corps initiative sponsored by the Office of the US Surgeon General. Additionally, he works closely with the Assistant Secretary for Preparedness and Response to provide regional leadership for emergency planning, preparedness, response and recovery to all-hazards public health emergencies. RADM Milner serves as one of five national Pandemic Influenza Senior Federal Health Officials and works closely with the Department of Homeland Security and Federal Emergency Management Agency both nationally and regionally to ensure regional level coordination for all-hazard public health response and recovery activities. RADM Milner previously served in the Boston Regional Division of the Health Resources and Services Administration as the Regional Director of the National Health Service Corps. He was our graduation and white coat speaker in 2009 and 2010. In addition, he spoke with our students about public health issues and providing access to health care for the underserved. Mr. Mittman has been a PA and later NP leader for thirty years. 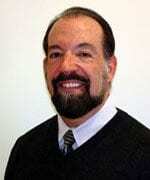 He co-founded the Long Island University PA Program student society, was President of the New York State Society of PAs from 1978-1979 and served on the American Academy of Physician Assistants (AAPA) Board of Directors from 1981-1983. Mr. Mittman spent nine years in primary care in Brooklyn, N.Y. and left to begin a career in medical publishing with Physician Assistant Journal. Mr. Mittman also won the AAPA Public Education award for leading the march in Trenton NJ to establish PA practice. Mr. Mittmanstarted the PA Journal and co-founded the Clinicians Publishing Group (1990) and Clinician Reviews Journal in 1991. Clinician Reviews went on to become the best read NP and PA publication ever developed. Mr. Mittman and his partners took Clinicians Group and built it into a major publishing business by launching eight journals in six different physician specialties within an eight year period, something never done before in the history of medical publishing. While a visiting professor at South College he spoke to both our didactic and clinical PA students regarding medical publishing and the right way to correctly write a prescription. Mr. Rackover became involved in healthcare in 1968 as a US Air Force medic and radiology technologist during the Vietnam War, where his passion for patient care led him to the field of radiation oncology. In 1984, he became a PA after graduating from Hahnemann University, and he now serves as an advisor to the National Human Genome Research Institute. 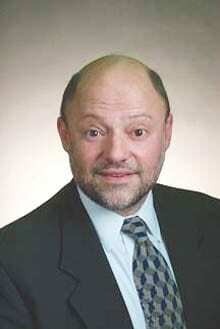 He is currently the associate PA program director and associate professor at Philadelphia University. He helped start the PA program in 1995. 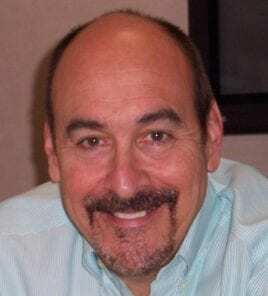 He has dedicated years to educating PAs and other clinicians in genetics and genomics, traveling extensively, lecturing and publishing widely and prominently on the subject of PA use of genetics to improve patient care. He was the driving force behind a national meeting of the four leading PA organizations in 2007 at the National Institutes of Health. Mr. “Rocky” Rackover Michael received the American Academy of Physician Assistants’ 2011 Outstanding PA of the Year Award at AAPA’s 39th Annual Physician Assistant Conference in Las Vegas on June 1. He is best known as an expert in genomic literacy and education, and his efforts are largely responsible for PAs being among the first healthcare professionals to partner with the US National Institutes of Health’s National Human Genome Research Institute. Together with Ms.Goldgar he was one of our visiting professors to speak to our PA students and faculty on genetics.